November 2017 new blood pressure (BP) guidelines were released. This is the first comprehensive set of guidelines since 2003. The big change is the lowered definitions for high blood pressure. The American College of Cardiology (ACC) and the American Heart Associations (AHA)(along with several other health organizations) are making these new recommendations to account for complications that can occur at lower numbers and to allow for earlier intervention. This is a good thing. If you’re above 180/120, well, you’re a hypertensive crisis just waiting to happen. The new guidelines eliminate the category of prehypertension, categorizing patients as having either Elevated (120-129 and less than 80) or Stage I hypertension (130-139 or 80-89). Family history – if it runs in the family, there is an increased chance you can get it. Age – the older you are the more likely you are to get HBP. As we age our blood vessels lose some of their elastic quality which can contribute to increased blood pressure. Gender – Men are more likely to get HBP than women are (until age 45). Women catch up to men after age 45 and are at equal risk as men until about age 65, where women are more likely to get HBP. Race – African Americans are at greater risk for HBP than any other race in the United States. Lack of physical activity – Physical activity is good for your heart and circulatory system. Unhealthy diet (especially high in sodium) – A diet too high in salt consumption, calories, saturated fat and sugar puts you at greater risk for HBP. Recommended dietary allowance for salt is 2300 mg/day, about 1 and ¼ teaspoon. Being overweight/obese – too much weight puts extra stress on the heart and circulatory system. Drinking too much alcohol – consistent heavy use of alcohol can cause many health problems, one of them being HBP. Stress – too much stress may contribute to increased blood pressure. You can’t change your gender, race, age or family history but the last six risk factors are related to lifestyle, which means these are things you can change. If you’re not sure about your blood pressure or even think your blood pressure could be high, schedule an appointment with your doctor. 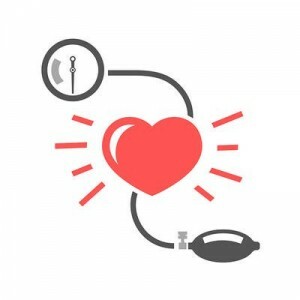 The blood pressure machines found by the pharmacy section of many grocery stores can be used if you’re not sure. Allow yourself a minute to relax before taking your blood pressure and be sure to sit straight and with feet flat on the floor. Avoid conversation too. Additionally, if you have elevated blood pressure, monitoring this at home is not a bad idea. The new guidelines have thrown prehypertension folks into the hypertension category and early prevention can help put you on a better track to lower your blood pressure and lower your risk of stroke. The new ACC/AHA guidelines were developed with nine other health professional organizations and were written by a panel of 21 scientists and health experts who reviewed more than 900 published studies. Comments Off on New Blood Pressure Guidelines – What Does It All Mean?